This article is about seasonal movement of people and livestock with fixed summer and winter stations. For movement of people and livestock in an irregular pattern, see nomadic pastoralism. The term "transhumance" is also occasionally used in correlation with nomadic pastoralism – the regular migration of people and livestock over longer distances. 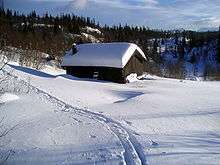 In the Balkans, the Sarakatsani, Aromanian and Yörük peoples traditionally spent summer months in the mountains and returned to lower plains in the winter. When the area was part of the Austro-Hungary and Ottoman empires, borders between Greece, Albania, Bulgaria and the former Yugoslavia were relatively unobstructed. In summer, some groups went as far north as the Balkan Mountains, and they would spend the winter on warmer plains in the vicinity of the Aegean Sea. The Morlach were a population of Vlach shepherds who lived in the Dinaric Alps (western Balkans in modern use), constantly migrating in search of better pastures for their sheep flocks. But as national states appeared in the area of the former Ottoman Empire, new state borders were developed that divided the summer and winter habitats of many of the pastoral groups. These prevented easy movement across borders, particularly at times of war, which have been frequent. 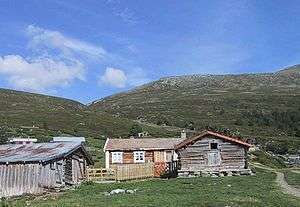 In southern England, where the climate is mild and the hills low, transhumance historically took the opposite form to more mountainous areas. Cattle were grazed on dry, sandy heath on the hills in winter and in the rich, low-lying flood-meadows (also called water meadows) in summer, once flood-water receded. . The Weald, as another example, was used for the grazing of pigs; a use known as pannage. While transhumance is little practised today, it has left its mark on English toponymy. Paired place names such as Winterfold Heath and Somersbury Wood attest to the history. Transhumance may also have been practised by the Picts. In Ireland transhumance is known as "booleying". Transhumance pastures were known as Booley, Boley, Bouley, Buaile and Boola. These names survive in many place names such as Buaile h'Anraoi in Kilcommon parish, Erris, North Mayo, where the landscape still clearly shows the layout of the rundale system of agriculture. 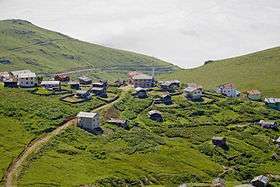 The livestock, usually cattle, was moved from a permanent lowland village to summer pastures in the mountains. The appearance of "Summerhill" (Irish: Cnoc an tSamhraidh) in many placenames also bears witness to the practice. This transfer alleviated pressure on the growing crops and provided fresh pasture for the livestock. Mentioned in the Brehon Laws, booleying would have dated back to the Early Medieval period or even earlier. The practice was widespread in the west of Ireland up until the time of the Second World War. Seasonal migration of workers to Scotland and England for the winter months superseded this ancient system, together with more permanent emigration to the USA. In Southern Italy especially in the regions of Molise, Apulia and Abruzzo, the practice of driving herds to upland pastures in summer dates from time immemorial but has enjoyed a long documented history until the 1950s and 1960s with the advent of alternative road transport. Drover roads or tratturi 111 m wide several more than 100 km long permitted the passage and grazing of herds, principally sheep, and attracted regulation by law and the establishment of a mounted police force as far back as the 17th century. Tratturi remain public property and subject to conservation by law protecting cultural heritage. Molise region candidate the "tratturi" to UNESCO as a world heritage. In Scandinavia, transhumance is still practiced to a certain extent; however, livestock are transported between pastures by motorized vehicles, changing the character of the movement. The Sami people practise transhumance with reindeer by a different system than is described immediately below. In autumn the Kashkai broke camp, leaving the highlands to winter in warmer regions near Firuzabad, Kazerun, Jerrè, Farashband, on the banks of the River Mound. Their winter quarters were known as Qishlaq. The migration was organised and controlled by the Kashkai Chief. The rribes avoided villages and towns, such as Shiraz and Isfahan, because their large flocks, numbering seven million head, could cause serious damage. Transhumance practices are found in temperate areas, above ~1000 m in the Himalaya–Hindu Kush area (referred to below as Himalaya); and the cold semi-arid zone north of the Himalaya, through the Tibetan Plateau and northern China to the Eurasian Steppe. Mongolia, China, Kazakhstan, Kyrgyzstan, Bhutan, India, Nepal and Pakistan all have vestigial transhumance cultures. In Mongolia, transhumance is used to avoid livestock loses during harsh winters known as zuds. For regions of the Himalaya, transhumance still provides mainstay for several near-subsistence economies – for example, that of Zanskar in northwest India, Van Gujjars in Western Himalayas, and Kham Magar in western Nepal. In some cases, the distances traveled by the people with their livestock may be great enough to qualify as nomadic pastoralism. The Berber people of North Africa were traditionally farmers, living in mountains relatively close to the Mediterranean coast, or oasis dwellers. However, the Tuareg and Zenaga of the southern Sahara practice nomadic transhumance. Other groups, such as the Chaouis, practiced fixed transhumance. The Maasai are semi-nomadic people located primarily in Kenya and northern Tanzania who have transhumance cultures that revolve around their cattle. In Southern Angola, several peoples, chiefly the Ovambo and part of the Nyaneka-Khumbi, have cultures that are entirely organized around the practice of transhumance. Transhumance is currently practiced at least in Argentina, Chile, Peru and Bolivia, as well as in the Brazilian Pantanal. It mainly involves movement of cattle in the Pantanal and in parts of Argentina. In the Altiplano, communities of indigenous people depend on raising camelids, especially llamas. Herds of goats are managed by transhumance in North Neuquén and South Mendoza, while sheep are more used in the Patagonian plains. Criollos and indigenous peoples use transhumant practices in areas of South America. ↑ Blench, Roger (17 May 2001). 'You can't go home again' – Pastoralism in the new millennium (PDF). London: Overseas Development Institute. p. 12. ↑ Gwynn, Eirwen. "On the land – yesterday and today" (PDF). Retrieved 12 September 2010. ↑ "History of Hafod Elwy Hall". Hafodelwyhall.co.uk. Retrieved 12 September 2010. ↑ Smith, Gavin (2005). Surrey Place-names. Heart of Albion Press. pp. 28–29. ISBN 1-872883-84-2. ↑ Sharkie, Brendan. "How the Irish invented Hallowe'en". Irish Culture and Customs (via Wayback Machine). Archived from the original on 23 March 2013. Retrieved 26 April 2013. ↑ "'summerhill'". Logainm.ie. 2016-04-13. Retrieved 2016-08-20. ↑ "Pyrénées - Mont Perdu". UNESCO World Heritage List. whc.unesco.org. Retrieved 26 April 2013. ↑ Ullens de Schooten, Marie-Tèrése. (1956). Lords of the Mountains: Southern Persia & the Kashkai Tribe. Chatto and Windus Ltd. Reprint: The Travel Book Club. London, pp. 53–54, 114–118. ↑ "Australian Alps National Parks and Reserves, The Alpine Way, Thredbo Village, NSW, Australia (Place ID 105891)". Australian Heritage Database. Department of the Environment. Retrieved 12 September 2010. ↑ Miankeol, Djeralar. "Herd destroy harvests.". D+C. Retrieved 21 December 2015. ↑ "Richtersveld Cultural and Botanical Landscape". UNESCO. Retrieved 27 December 2012. ↑ Starrs, P. F. (1998). Let the Cowboy Ride. Johns Hopkins University Press. ↑ "Erosion of Trust". American Scientist. doi:10.1511/2010.85.348. Retrieved 12 September 2010. ↑ Sulak, A. and Huntsinger, L. (2007). "Public lands grazing in California: untapped conservation potential for private lands?" Rangelands 23(3):9–13. ↑ Andaluz Westreicher, Carlos; Mérega, Juan Luis; y Palmili, Gabriel (2007). "The Economics of Pastoralism: Study on Current Practices in South America". Nomadic Peoples. 11 (2): 87. doi:10.3167/np.2007.110205. pp. 87–105. (Print), 1752–2366 (Online).